Composer Rieteke Hölscher present the multidisciplinary work Disturbing Light in cooperation with graphic designer Marij Janssen. 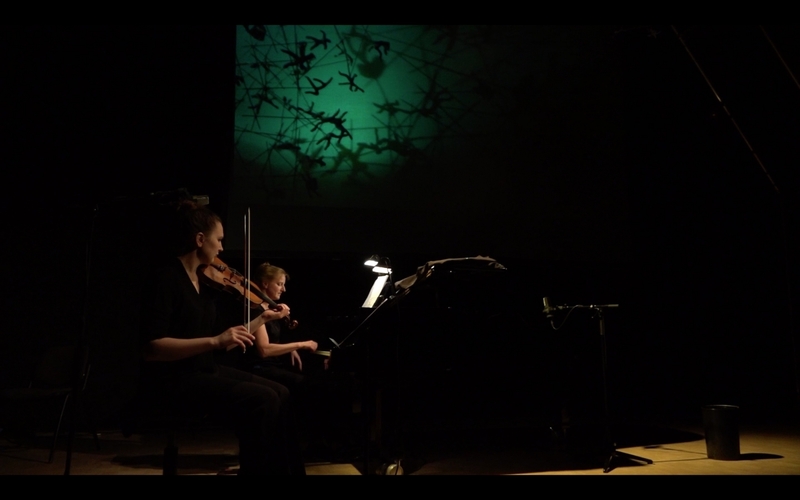 A dialogue between image and music, in which figures throw shadows on the wall accompanied by violin, piano and almost organic sounding electronic soundscapes. Dreamy, elusive, multiversal and sometimes indecisive: Disturbing Light takes the audience on an experience in image and sound in which time seems to have a will of its own. 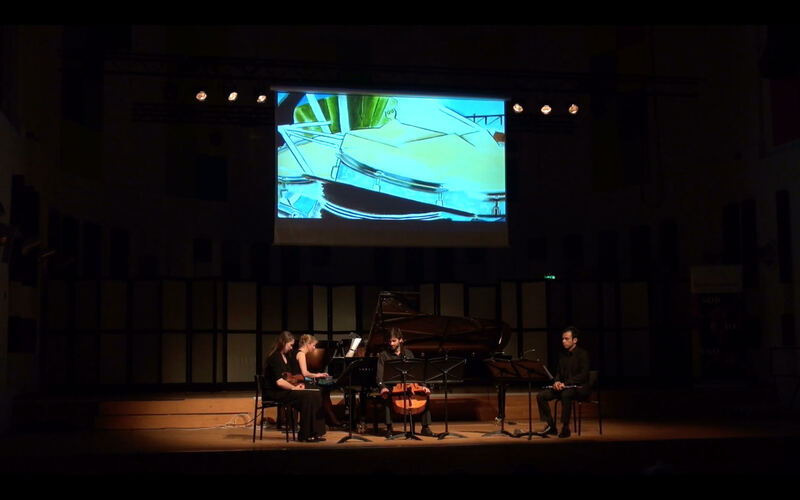 Hölscher also plays the piece Omlijstingen (Frames) with ‘her’ Ensemble Cross Meeting: seven musical frames connected to an equal amout of eponymous series of paintings by Dutch visual artist Wim Janssen. Ensemble Cross Meeting was founded in 2015 for a cross-over project between painting and live music. The name refers to the meeting of the two art forms.